Monroe Bus was originally conceived to be a collection of interpretations and improvisations on the instrumentals of Bill Monroe. 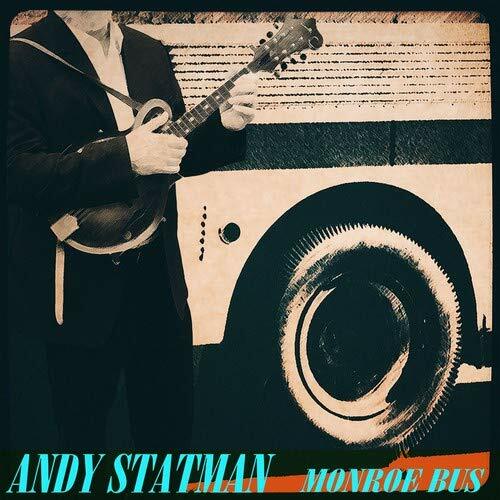 Statman says ‘Bill’s music had a tremendous influence on me when I started out as a mandolin player, and has continued to do so ever since… As the project progressed, I found myself writing my own tunes, inspired by some of Monroe’s musical ideas. Some melodies more closely reflect the master’s influence; others go to other places, but still bear that influence. During the mixing, it once again became clear to me how the music one plays and writes is a reflection of the life a person lives”. For Andy, Bill Monroe’s music was an ongoing conscious synthesis of the music he heard and his life experience. These tunes were written and played in the same spirit, reflecting his experiences and those of his fellow musicians on these sessions. He brought back Grammy nominated fiddler Michael Cleveland, who contributed mightily to his last CD, Superstring Theory, along with veteran trio members Jim Whitney (bass) and Larry Eagle (drums). Completing the core group, and also significantly expanding the aural palette of the ensemble, is Glenn Patscha (keyboards), who was a member of the New York Americana group Ollabelle and who most recently toured the country in Ry Cooder’s band. Michael Daves (acoustic guitar) rounds out the group on three of the tracks.